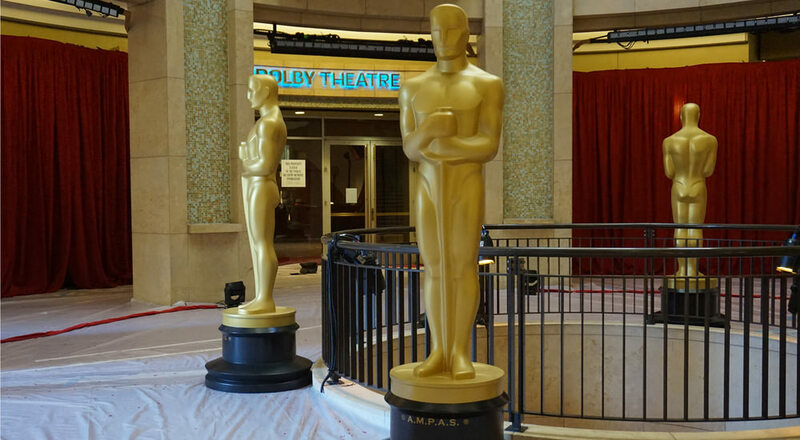 Film-awards season will conclude with the Oscars in early March. Many traditional-minded Americans will certainly tune out, with few blockbusters in contention, and, let’s face it, who wants to hear a bunch of pompous, overpaid gasbags drool over each other and condescend to the riff-raff who voted for Trump? Hollywood is not always hostile to conservative/traditional-minded Americans, and even some Oscar moments still inspire (check out YouTube for John Wayne’s genuine and gracious acceptance speech for his True Grit Oscar in 1970). The following films are not meant to be labeled ‘conservative’ – anyone can enjoy them. Nor are these filmmakers and stars necessarily conservative or Republican. Simply, these works stand as as great entertainment and merit a look for either first-time or subsequent viewing. Braveheart, Best Picture 1995. “Freedom!”Violent and ultimately tragic, Braveheart celebrates a life courageously lived. This beautifully made account of William Wallace’s 13th Century fight for Scottish independence unfolds not like a movie but a legend that pulls you in with with the passion of its hero. Mel Gibson won Best Director for this epic masterpiece. Mrs. Miniver, Best Picture, Best Actress 1942. Don’t let the title fool you, this is not just a woman’s film. If you enjoyed Dunkirk and The Darkest Hour (starring Best Actor front-runner Gary Oldman), you’ll surely enjoy this warm, storybook account of a British middle-class family tragically affected by World War II, Unjustly dismissed today as wartime propaganda, Miniver concludes in a bombed-out church with a sermon in defense of England – as well as the values of western civilization – so inspiring that Winston Churchill reportedly ordered copies of it airdropped behind enemy lines. Best Actress Greer Garson, lovely and brilliant in the title role, defines charm and grace, and her maternal and wifely demeanor alone are worth the price of admission. Patton, Best Picture, Best Actor 1970. “America likes a winner, and will not tolerate a loser.” Big, bold and patriotic, this bio-pic features George C. Scott’s towering, magnificent portrayal of the World War II general – warts and all. Scott won Best Actor, an honor he famously refused. A relic of a time before political correctness and safety zones, viewers today will surely be inspired by this unabashedly raw tribute to sheer guts. Gladiator, Best Picture, Best Actor 2000. Many Roman gladiator films earn the ‘chessey’ and ‘low-budget’ label. Not this one. This grand, glorious – and, yes, violent – production offers Russell Crowe, heroic in his Best Actor performance, and ultimately takes the viewer out of the arena with an ending transcendentally beautiful and tear-jerking. A Man For All Seasons, Best Picture, Best Actor 1966. No, not all films here feature war, though 16th Century’s Thomas Moore, as portrayed by winner Paul Scofield, did meet a violent end for refusing to violate God’s law to suit the whims of a power-hungry King Henry VIII. This British-made costume drama moves briskly, is never stuffy and celebrates the life of a noble, defiant and beautiful soul. In the Heat of the Night, Best Picture, Best Actor 1967. “They call me Mr. Tibbs!” declares Sidney Poitier in a line probably more famous than the movie. Rod Steiger as the southern sheriff won Best Actor in this superb crime drama that directly tackles racism. Never preachy or political, this film focuses on the plot while leaving open the hope for greater unity, starting with simple respect among equals. Lilies of the Field, Best Actor 1963. In this humble production, Sidney Poitier became the first of his race to win in this category. As an ex-GI helping a group of displaced nuns build a church, Lilies offers a spirited and inspiring showcase for one of the cinema’s finest actors. The Hurt Locker, Best Picture 2009. Set during the second Iraq War, this intense character study of a mine diffuser is so tightly wound that no political bias can filter through. Kathryn Bigelow became the first woman to win Best Director, and she graciously thanked the troops, EMT’s and first responders in her acceptance speech. High Noon, Best Actor 1952. Granted, the High Noon screenplay was written by a known leftist (Carl Foreman) and some consider it an indictment of the McCarthy era. Most viewers will just see one of the finest examples of that quintessentially American film genre- the western. Gary Cooper, somber and heroic, was never better. Around the World in Eighty Days, Best Picture 1956. Film historians deride this as one of the worst Best Pictures. But this bright, lively production, based on Jules Verne’s novel, is, as they used to say, fun for the whole family. As a travelogue, full of countless stars in cameos, with adventures and likable lead characters, what is there not to love? So it drags some in the middle, that’s barely worth mentioning. An ode to British punctuality has never been so appealing. This list could include numerous others, but for sure-fire crowd-pleasers, you can’t go wrong with these ten. How to Prevent High School ShootingsThe FBI Did It!